Novacek, M. 1984. 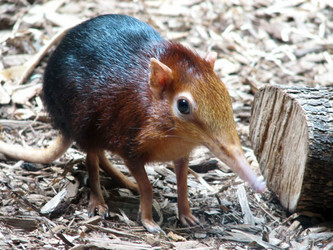 Evolutionary stasis in the elephant-shrew, Rhynchocyon. Pages 4-22 in Living Fossils. (N. Eldredge and S. M. Stanley, eds.) Springer-Verlag, New York.